For a half-dozen years now, geology students at the University of Saskatchewan have been known to visit a special fish in the nervous hours leading up to a final exam. They do it for good luck. Science is about searching for truths through observation and experiment, but when it comes to university exams, rational thought is sometimes augmented with a little superstition. 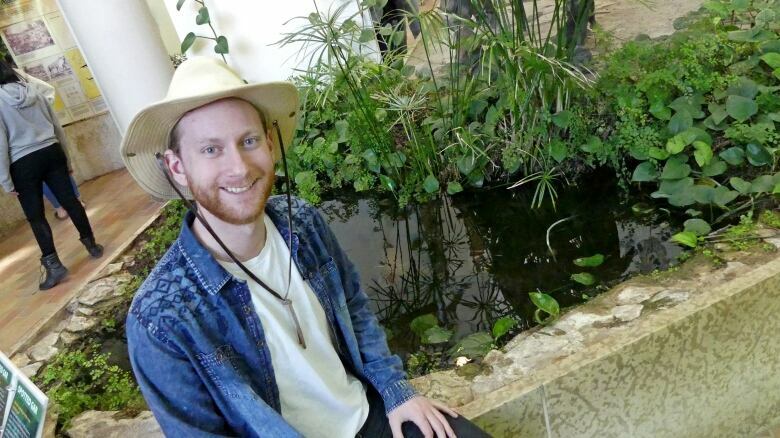 For a half-dozen years now, geology students at the University of Saskatchewan have been known to visit a special fish in the nervous hours leading up to a final exam. They go looking for a little good luck. "[If] it's looking pretty feisty then that's a good sign, and you're going do really well on the test," Drake Meili, a U of S geology student, said in an interview with CBC Radio's Saskatoon Morning. 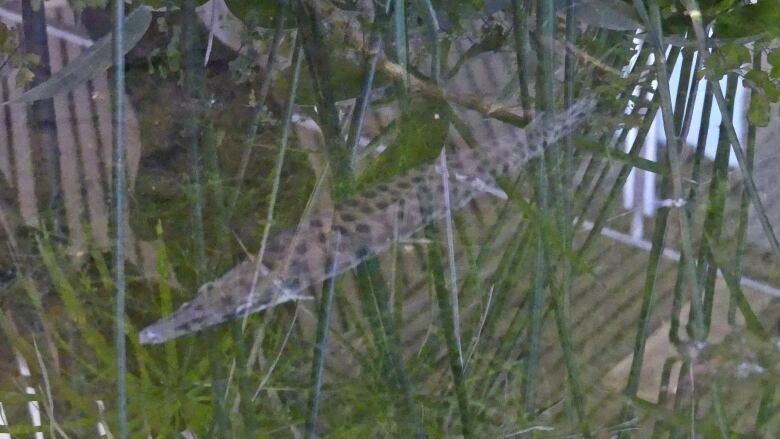 This fish in question is a spotted gar. Some important facts: it's a threatened species that lives in Ontario lakes (mostly Lake Erie). It has a long, narrow body, and a long mouth with sharp teeth. "Looks like a bit like an alligator," said Meili. Those are just cold, hard facts. The spotted gar at the U of S has its own unique fish tale that Meili, in his role with outreach program at the department of geology, is only too happy to tell. Meili gives tours of the geology building and is the keeper of this growing legend. First of all, this fish is named Terri. "They're not 100 per cent sure if it's a male or female yet. So a gender-neutral name," explained Meili. Terri came to the university fully grown way back in 1999 through a private donor. The fish first came with a companion, which died in an unfortunate accident — one that Terri survived. "It's one of the oldest specimens that they have in captivity … in the world," bragged Meili. "I've only actually ever seen it move a couple of times in about five years." One of those times was just this week, so Meili is pretty sure Terri is OK. This fish is a survivor. It sits in a meditative stillness. Now, Terri has become an unlikely prognosticator for students trying to ward off the jitters before final exams. Meili explains that this has been going on now for years. Students will come and visit the spotted gar, looking for some sign they'll ace the test. "If it's out there and it's looking happy then I should be happy too, and I think that confidence really pushes you on in the exam." Meili, who is close to earning his degree, has been doing this himself now for years, and said that he's not about to stop now. If you're keen to try Terri's luck for yourself, the wise old fish of indeterminate gender can be found in the geology building at the U of S, near the stegosaurus skeleton.